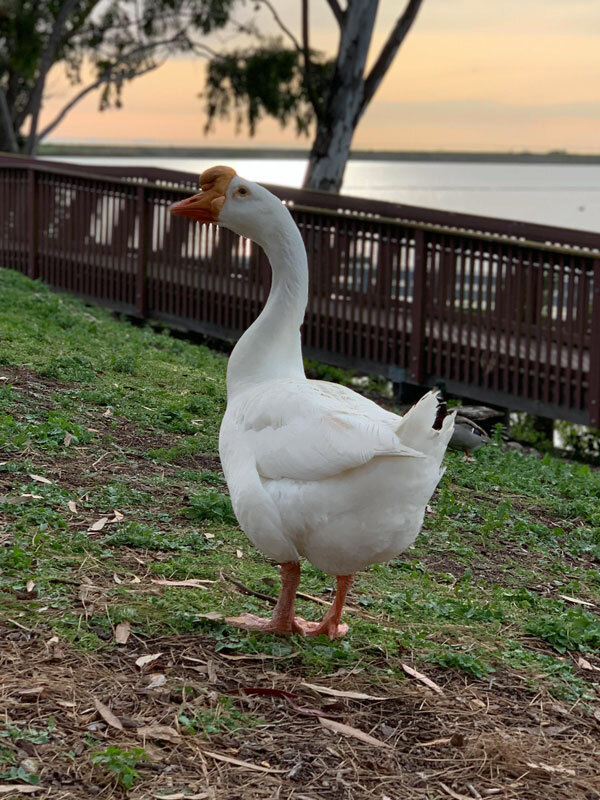 Those who have frequented Lake Miramar might have seen or heard of Louie the Goose. 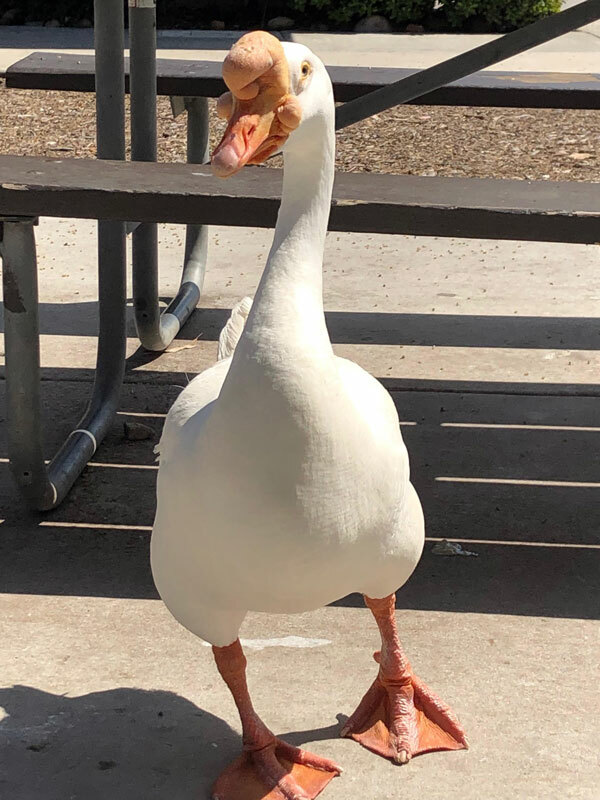 While classified as a goose, to locals, he’s been dubbed the therapy goose. Beloved by many in the community, just in the past year, Louie has made headlines locally about his comforting impact on people, which earned him his moniker. With stories of how Louie has helped others just by being around them, recently, Louie was the one in need of help because he had been sick with an upper respiratory illness. That’s where Mindy Dreisewerd cames in. 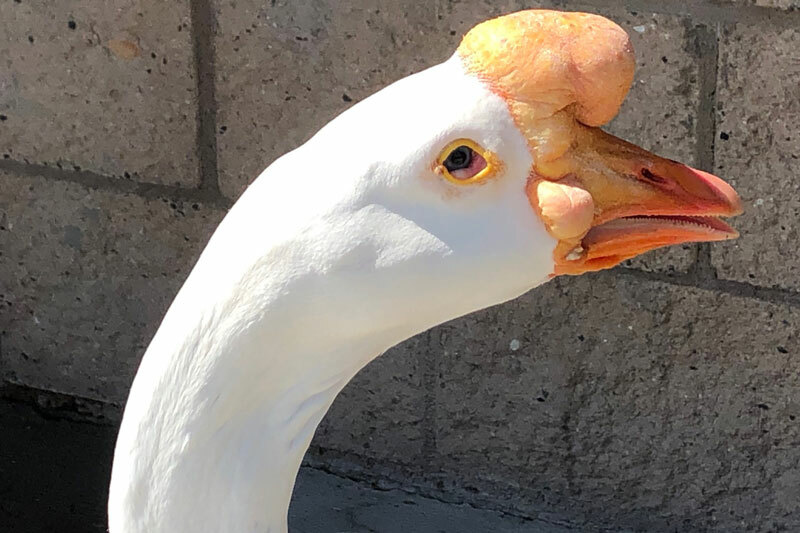 She has created a GoFundMe page for Louie the Goose. She’s raising the money for those who helped with his recovery. 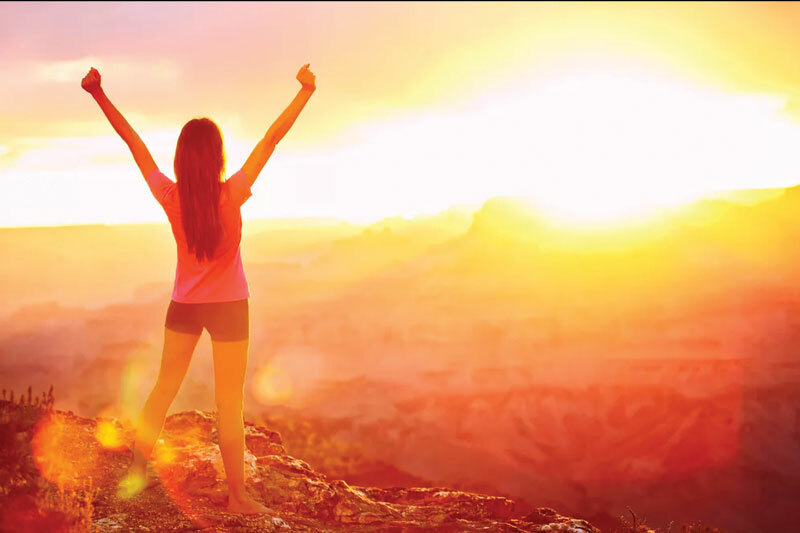 Dreisewerd explained that Louie greatly helped her cope with severe depression over the years and now she’s giving back by helping him get healthy again. Now, Louie is doing better, according to Dariel Walker, communications specialist at the San Diego Humane Society. Walker said Louie was brought in by humane officers last week after people observed that he sounded like he was coughing. He was at the Escondido campus for nine days where he was treated with antibiotics. He came in March 25 and was released on April 3. Kelly Allison is another local woman who has grown fond of Louie. She went to see Louie at Lake Miramar the day after he got back. Allison has known Louie for several years as she used to frequent the lake a lot for walks. She assures that if there’s anyone who knows Louie best, it’s Mindy Dreisewerd because of her personal story with him. She said people were heartbroken from missing Louie during the days when he was gone because he has been at the lake for 20 years. March is International Women’s Month. It’s a month that has generated conversations among Women’s Club members of times when they were mentored or supported by other women. Below are true stories from two of our members. One member shared her story from years ago when, as a recent college graduate, she was mentored by an older woman. The younger woman had applied for a job as a switchboard operator, thinking this was the only available job in her location. The job interviewer saw a greater potential in the young woman and offered her an unadvertised job that involved managing 20 people. The older woman also guided this younger woman through the internal politics of the organization to help her be successful. Another Women’s Club member shared a story about her concerns of her ability to return to graduate school while working in order to earn an advanced degree. This woman’s mentor was her boss, who said things to her such as, “Of course you can do this. I know you can.” These two women and other club members who have experienced support and mentoring are now giving back by volunteering in their community. The Women's Club college scholarship program comes within this framework of women helping women. There is still time for Scripps Ranch high school senior girls to apply for one of our scholarships. Each year the Women's Club awards several scholarships to senior female students based on strong academics and community service. This application form is on our website at www.srwomensclub.org. The deadline for submission is March 30. If you are a Scripps Ranch high school senior girl, this is an opportunity not to be missed! In April, the Women's Club Book Club will be discussing “An American Marriage,” by Tayari Jones. On April 7, the Women’s Club is sponsoring a free afternoon concert at the Scripps Miramar Ranch Library with the Peter Sprague Jazz Duo. In addition to these events, the Women’s Club offers a range of activities from bridge to bunco groups to enrichment outings. 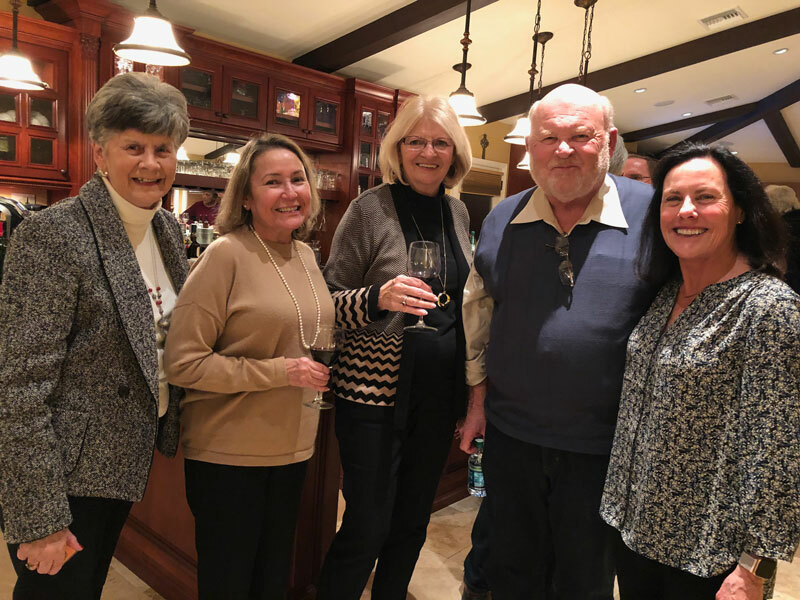 If you are looking for ways to have a good time, to meet new friends and possibly to give back to your community, Scripps Ranch Women’s Club can help you make those connections! To learn more about joining the Women's Club, contact Connie Curran at (858) 775-7703 or Denise Hampton at (858) 361-7118. More information on the Women's Club can be found at srwomensclub.org. 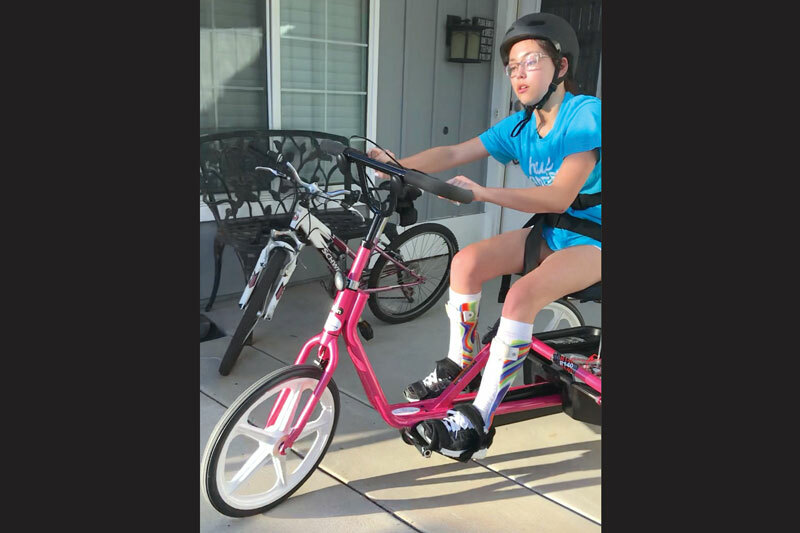 The GoFundMe site for resident Ruby Melchior, who suffered a brain bleed and needs a specialized van to help her get around, remains open as the teen works to rebuild her life. Ruby’s mother, Robin, reports the Scripps Ranch High sophomore, who now uses a wheelchair, is trying to return to the school track team in hopes of competing in the seated shot put. She has connected with the Challenged Athletes Foundation, attending clinics and getting other support. Scripps Ranch resident Felicity Hunter, whose son went to school with Ruby, is trying to contact other professionals to see what kind of help, resources or referrals they can offer. She’s also trying to set up a nonprofit organization to collect funds for ongoing care. Those interested in helping can contact Felicity Hunter at felicity@homesbyfelicity.com or (858) 444-5973. Ruby’s GoFundMe site is at bit.ly/2FvvsCL. 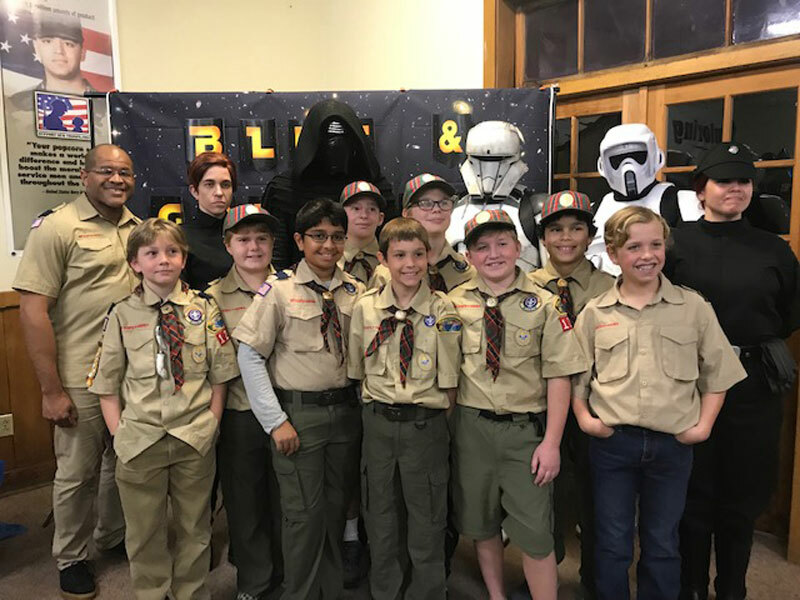 The members of the Webelos II Den, led by Eugene Long, bridged to Boy Scouts during the Pack 1216 annual Blue and Gold Banquet on March 2 in Atherton Hall at Camp Balboa. These young men received their Arrow of Light and are now officially Boy Scouts. They were honored with a special ceremony involving face paint and candle lighting. The evening was filled with good food and plenty of entertainment, as real-life Star Wars characters came to celebrate. A slide show following the graduates from their days as Tigers to the present time was designed and presented by Fritz Leader. The Scripps Ranch High School Foundation will host the 12th annual Taste of the Ranch fundraiser on Saturday, April 13 from 6 to 11 p.m. at Newtopia Cyder, 10045 Carroll Canyon Road. The event includes dinner, a DJ and dancing, a silent auction and drinks. Must be 21 years of age to attend. Tickets are $55 per person if purchased through March 31, and $60 per person beginning April 1. Ticket price includes two drink coupons and dinner. Tickets are available at srhsfoundation.org/totr. The annual Scripps Ranch Community Garage Sale will be held from 7:30 a.m. to noon on Saturday, April 6. This event is sponsored by Windermere Homes & Estates. Anyone wishing to hold a garage sale that day may register online, and their location will be included on a map distributed to shoppers on the morning of the event. Those wishing to participate must register online by noon on April 2 at scrippsranchcommunitygaragesale.com. Garage sale signs for sellers who have registered may be picked up between 9 a.m. and 4:30 p.m. Monday through Friday at Windermere Homes & Estates, 9988 Hibert St., #150. Shoppers may pick up maps with garage sale locations between 7 and 8 a.m. on the day of the event, April 6, in the parking lot of Windermere Homes & Estates. Scripps Ranch Cleanup Day, co-sponsored by Rotary Club of Poway-Scripps and Torrey Pines Kiwanis Club, will be held Saturday, April 13. Residents may clean up their yards and homes, and bring their trash to large trash bins in two Scripps Ranch locations: Meanley Drive; and the Scripps Ranch Community Center, 11885 Cypress Canyon Road. Dumpsters will be available from 8 a.m. to noon. Residents must unload their own trash. Visit scrippsranch.org/committees/clean-up-day. 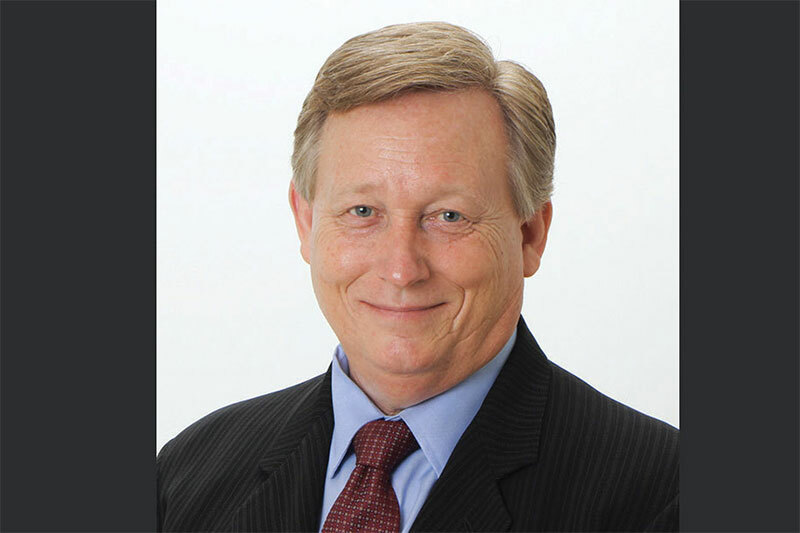 Former San Diego Police Chief Shelley Zimmerman, a Scripps Ranch resident, has been named a Chancellor appointee serving in the capacity of a public safety and leadership consultant for National University. In her new role, Zimmerman will guest lecture on leadership topics, and collaborate with faculty and law enforcement officials nationwide to inform public safety related curriculum, and contribute to teaching at National University, which has been recognized by U.S. News & World Report for having among the Top 20 Best Online Graduate Criminal Justice programs in the nation. 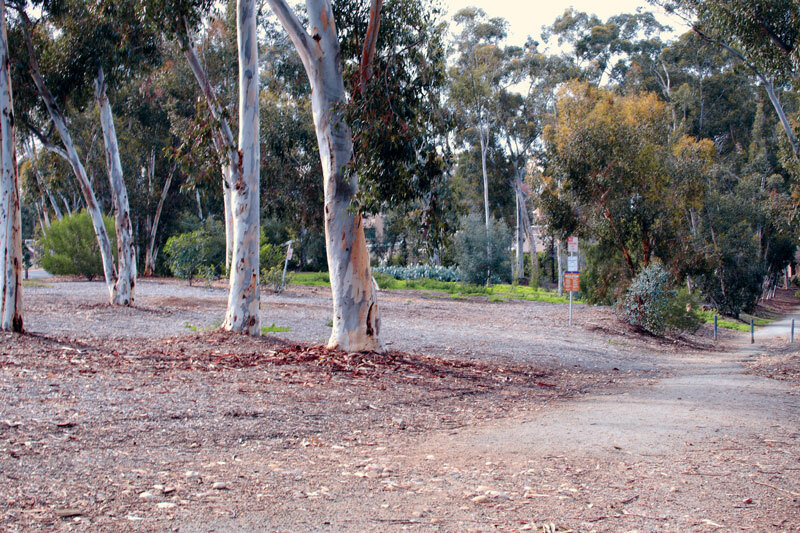 The redevelopment of the Alliant University property into homes has been met with opposition from the Scripps Ranch Fire Safe Council. KB Homes and its partnered planning firm Lattitude33 presented to the Scripps Ranch Planning group March 7 at the Scripps Ranch Library. They presented their plan to build 460 homes in a space presently occupied by Alliant University. The Fire Safe Council, formed in 2003 after the Cedar wildfire, works to promote fire safety in Scripps Ranch. Members of the Fire Safe Council also presented at the meeting where they shared their insights on the danger of building such a large number of homes in the location. Karen Herreros, Fire Safe Council secretary, said building 460 homes would not be safe for an emergency fire evacuation. She said the proposed homes would need to evacuate on the already overly congested intersection of Avenue of Nations and Pomerado Road. Widening the road Avenue of Nations is not possible. It is also not an option to create an additional exit for the proposed homes. Additional concerns for the Fire Safe Council include the high amount of traffic that could occur in the instance a fire happens during the school day; Marshall Middle School is also located on the Avenue of Nations road. Proponents of building the homes said having more affordable housing would be a benefit to first time home buyers currently renting in the area. However, other residents voiced concerns over the strain on community facilities such as parks. Herreros said the Fire Safe Council will aim to either lower the number of homes allowed in that space to approximately 70 homes or they will promote a different type of facility to utilize the space. The Scripps Ranch Planning Group passed a motion to recommend a denial of the request to build the 460 homes, according to Herreros. This recommendation will be presented to the City Planning Commission in April. 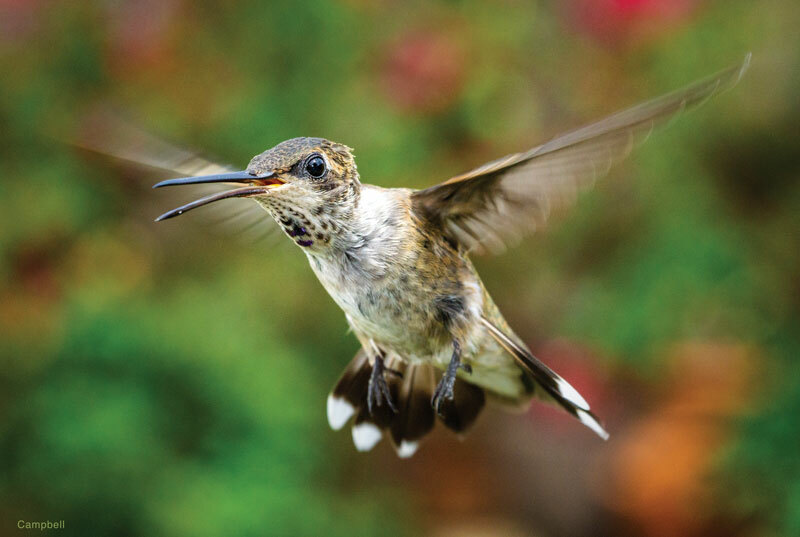 A Scripps Ranch resident combined his technical knowledge with his artistic gifts to develop a lifelong career including portrait, nature and fine art photography. 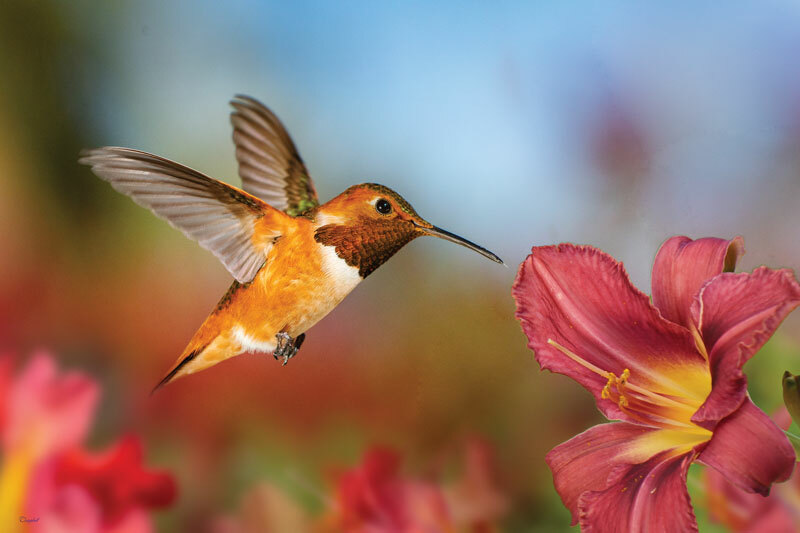 Michael Campbell is a professional photographer with a dazzling portfolio of portraits, travel and nature scenes, aerial shots of ancient castles and high-speed photographs of hummingbirds in flight. His interesting life and career have included a number of fortuitous turns of fate and along the way, he has worked, studied and socialized with some of photography’s all-time greats and other luminaries. An expert in dye transfer printing who wrote the Kodak manual on the subject, he taught photography at London’s Kodak Photo School, was a lecturer at the Salisbury College of Art and was a professor at Cal Poly State University before running a portrait studio in San Diego. Born and raised in Britain, Campbell took a year off between high school and college to earn money for his education. Turns out he lived about five miles from the Kodak film company’s London research laboratory. Someone told him about a job opportunity there, so he went to apply. But he was just out of high school and didn’t notice that the job required him to have a degree, preferably a master’s, in chemistry and physics. Athletic prowess would end up landing him the job. His father, a cricket fanatic, started training Campbell for the sport early in his life. He later rose to be captain of his school’s cricket team and also played for England’s under 21 team as a fast bowler (along the lines of a baseball pitcher skilled at making the ball move while in flight). He was about to be disqualified for the Kodak position he applied for when one of the executives called him into his office. Turns out Kodak had a cricket team and they had an upcoming match against Ilford, a business competitor whom Kodak had never beaten. Campbell was asked if he was available for the date of the match. When he said yes, he was told he had the job. And Kodak finally beat Ilford. “That was how I got into photography,” Campbell laughed. Assigned to be a research assistant for renowned Kodak color specialist Robert Hunt, Campbell was put into a darkroom where he was given half a morning’s demonstration of the equipment and a color wheel before being put to work with orders not to come out until he made the world’s best dye-transfer print (a color printing system used from the 1920s to 1960s). College was always in his plans, and he ended up at the University of Leicester, choosing to study geology with the thought that it would get him outside. Given the opportunity to go anywhere in the world in 1966 to make a geological map for his thesis, he chose the Scottish isle of Ilona, where he had spent much time during family trips when he was a child. 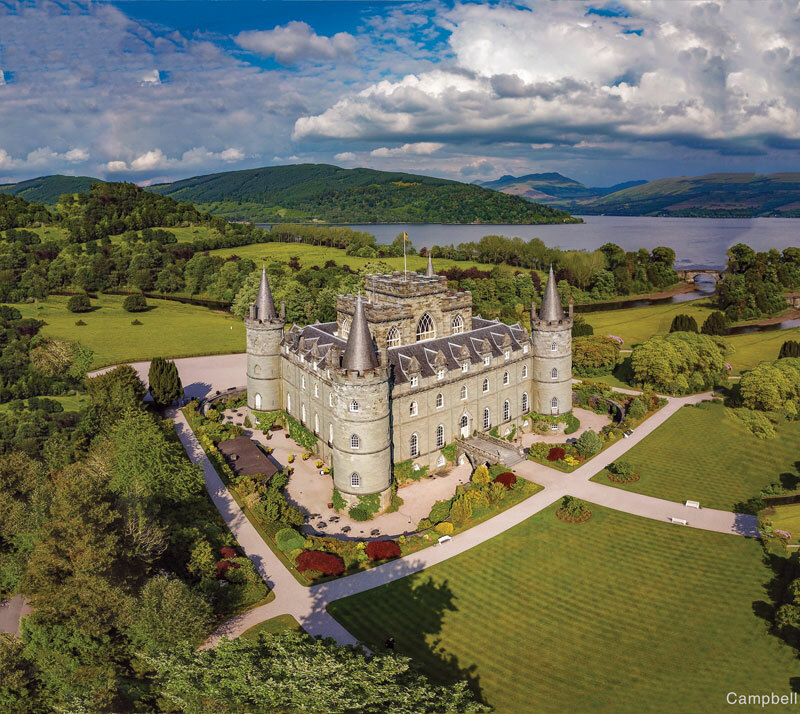 He was there for two years, living in and helping to refurbish the Abbey of Ilona, a sixth-century abbey owned for 300 years by the Clan Campbell (distant relatives of the photographer’s family). He would return in 1987 to photograph castles on the isle for one of the three photography books he has published. Part 2 of this two-part series will appear later in March. 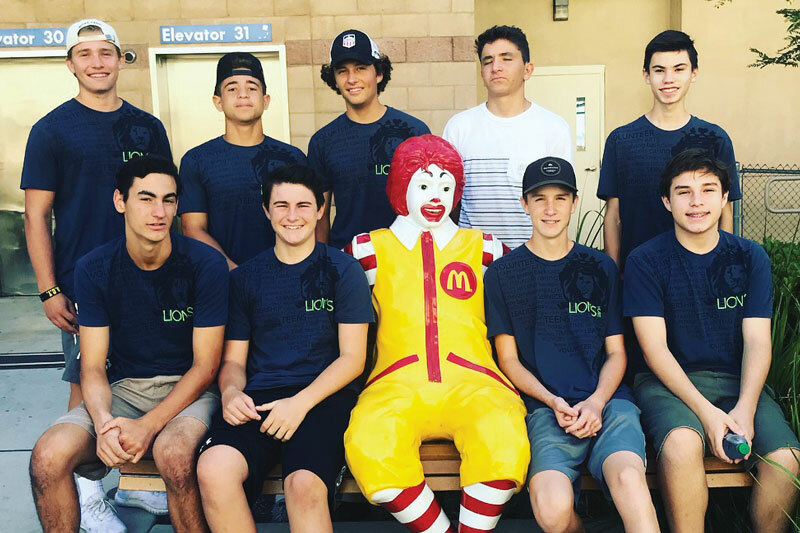 A group of young men from Scripps Ranch have been giving back to the community with remarkable dedication. The local chapter of Lion’s Heart, a national service group organization, boasts an incredible 1,223 service hours so far this year. Each chapter of Lion’s Heart is organized by gender, class year and location. Melanie Durkin became the class coordinator for the Scripps Ranch 2021 young men’s group after going through the training when her eldest son was in eighth grade. In a span of just three years, Durkin has grown the group to the maximum number allowed in a local chapter with the 2021 class reaching 20 young men this year. Durkin said each member typically exceeds the 30-service-hour goal set by the members. “They are all athletes and are busy kids with packed schedules. They are finding whatever time they have to accomplish their service hours for the group,” Durkin said. The group meets six times a year to discuss, plan and organize the service opportunities throughout the year. Durkin said the opportunities are shared among the group on a continual basis. “There are so many different types of opportunities. They will participate in the elementary school festivals such as the Miramar Ranch Halloween carnival, Becky’s House Domestic Violence Program, Christmas shopping for the elderly and Ronald McDonald House, to list a few,” Durkin said. She said it is helpful to have Lion’s Heart as a motivation for volunteering in the community. “Lion’s Heart gets the members into the service mindset of giving back to our community,” Durkin said. Members are encouraged to participate in the opportunities both with members of the Lion’s Heart group and with their family members. Melanie Durkin said the group’s next big project is volunteering with the Build A Miracle non-profit. The teens will help build and furnish a home in Mexico for a family in need and will receive 12 service hours for participating. For more information about Lion’s Heart, visit lionsheartservice.org. For Scripps Ranch seniors, home is where the heart is. More than 7,000 senior citizens throughout San Diego and in Scripps Ranch benefit from the non-profit ElderHelp, which helps the aging receive personalized services to assist them in their own home. Services include medical advocacy, friendly visits and caregiver resources. ElderHelp will hold its annual fundraising event, Essence of Life, on March 10 at the Southwestern Yacht Club. 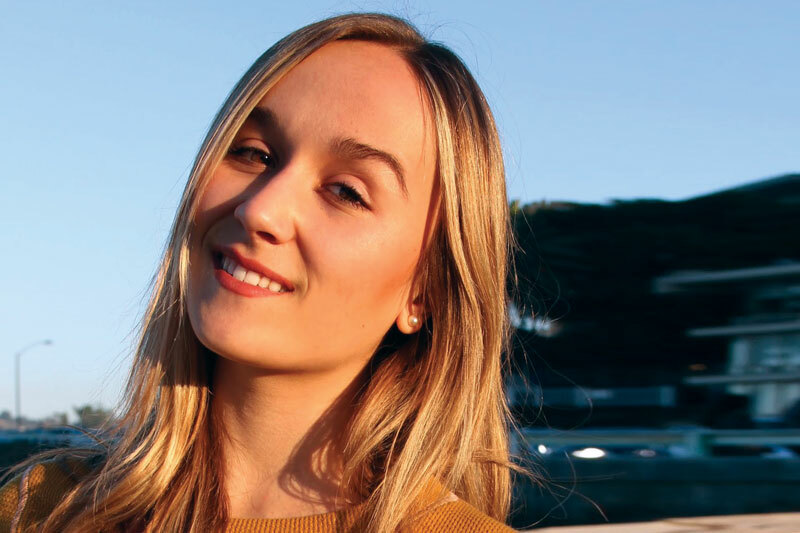 Scripps Ranch resident Kristen Chazaud has chaired the Essence of Life event for three years, served as a member of the board of directors and remains an ambassador for the program. This year, Chazaud is hosting the pre-event coined “Spread the Love” to help promote and support the cause. 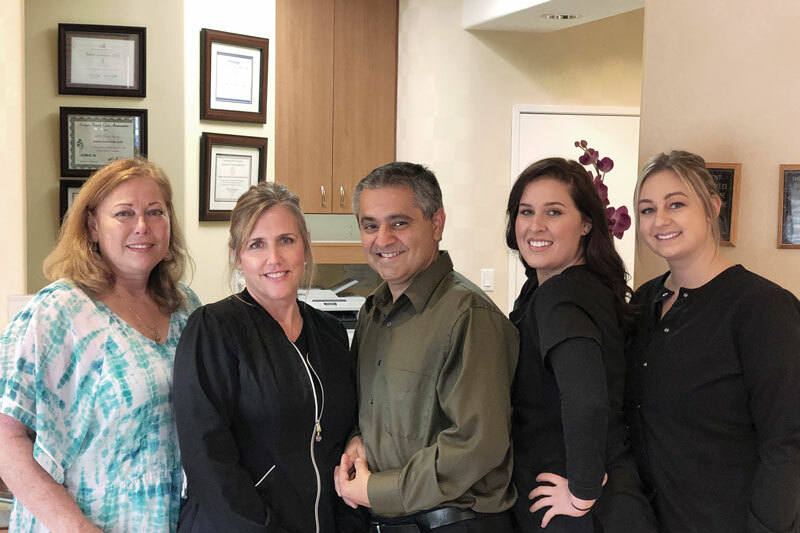 Chazaud, a native San Diegan, said starting her family life and putting down roots in Scripps Ranch was a very deliberate choice in no small part because of the elderly community. “Scripps Ranch had all of the wonders of nature, the conveniences of the city, intergenerational residents, beautiful walking trails, impressive schools and active and engaged elders that were still contributing to its charm,” she said. 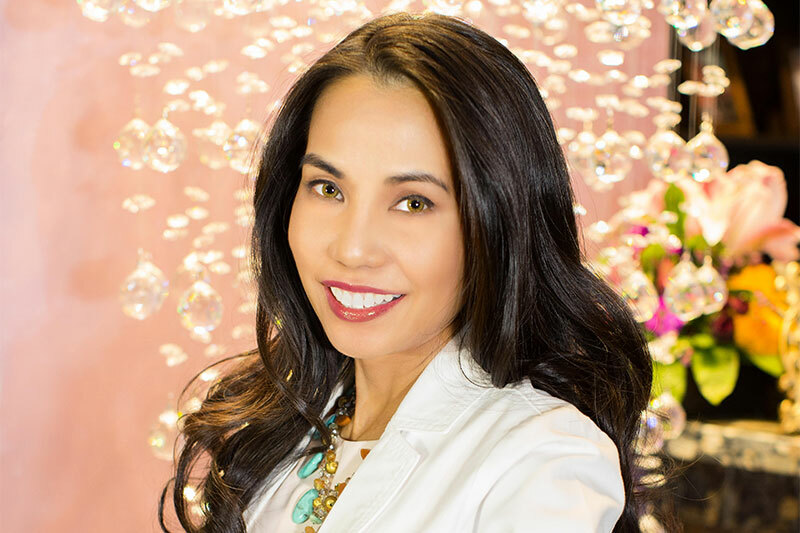 Chazaud works to protect these elders and their desire to age in their own homes through her role as CEO of Keepsake Companions Franchises and as an ambassador to ElderHelp. She has served the elderly community in several capacities through advocacy, program development, consulting and home care and placement. ElderHelp’s Essence of Life event, according to its website, financially supports the mission to assist seniors live healthier and more independent lives while aging with dignity in their own homes. “Aging in place is important for several reasons: our elders prefer to age at home, they built the communities we benefit from, and our elders contribute so much to our community,” Chazaud said. The Essence of Life event is billed as an afternoon by the bay with hors d’oeuvres, cocktails and a charity auction in which all proceeds serve local seniors. The event honors ElderHelp clients, volunteers and community partners. An inspirational senior nominated by the public will also be honored at the event. Essence of Life is open to the public and tickets can be purchased online at bit.ly/2WRa4xT. 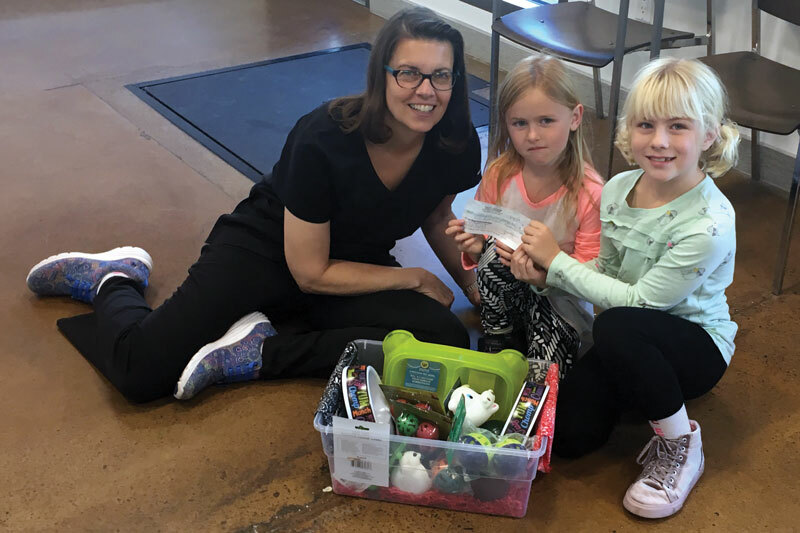 Scripps Ranch residents Malie Stephens and Sofia Nocella, both age 7, wanted to ensure that any pet in need that came to the Scripps Ranch Veterinary Hospital would get the medicine and care it needed, no matter the cost. In November 2019, they came up with the idea to raise money to start a “Kids Care fund” at the hospital. In December and January, the girls sold hot chocolate, and painted and sold shells and rocks. Together, they raised $200 to kick off their "caring fund" at the hospital. The girls pitched their idea to Dr. Karen Kurowski at the Scripps Ranch Veterinary Hospital. In January, armed with an overflowing bin of new dog and cat toys, the girls presented a check for $200 to the clinic. They plan to continue fundraising throughout the year, and encourage any kid or family to join in this effort. Contact Laura Stephens: laurakaystephens@gmail.com. A local project to collect hygiene items to donate to San Diego’s Monarch School gathered enough supplies to fill 845 bags which will be used by Monarch School students. Scripps Ranch resident Victoria Muschek and her family again spearheaded this annual effort, which was in its seventh year of collecting and packaging the hygiene items for the school for San Diego’s homeless youth. Muschek stated that she is extremely proud of Jerabek Elementary School, which was very involved in the project, and the entire Scripps Ranch community for making this effort possible. The items –enough to supply the students for the next 13 months ­– were recently delivered to the Monarch School. Muschek encourages the community to continue donating items throughout the year for this project. Contact her for more information: Bmuschek@san.rr.com. The Becky's Gift toy drive, based in Scripps Ranch, was an overwhelming success, collecting more than its goal of 1,000 toys. In fact, close to 2,000 toys were collected. The project’s purpose is to provide toys and other help during the holiday season to families affected by cancer. 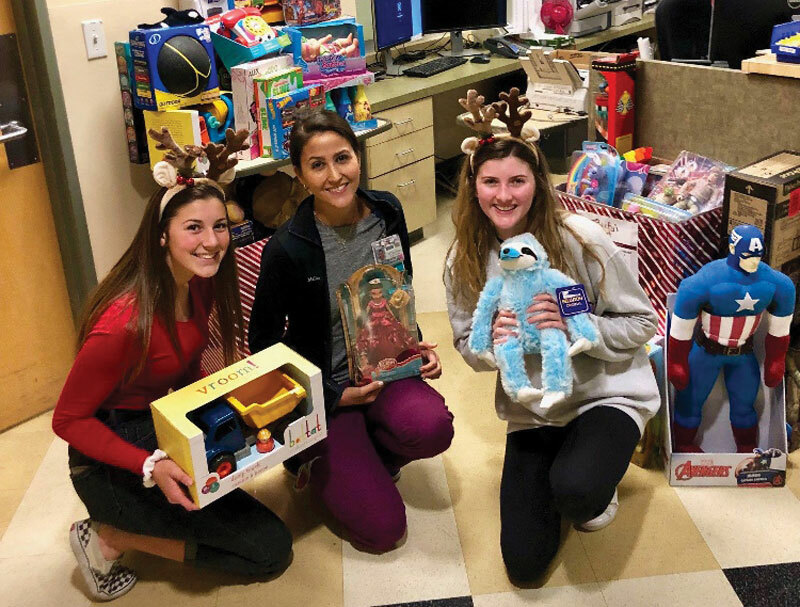 Volunteers delivered the toys to UCSD Moores Cancer Center, Oncology Associates of San Diego (Sharp Outpatient), South County Hematology, and the Sharp Reese Steely Kevin H. Cook Infusion and Oncology Center. Becky Walton and Christie Jackson, and their children Elle Jackson, Kailey Walton and Carly Walton each volunteered. They made weekly deliveries from Thanksgiving to Christmas Eve. 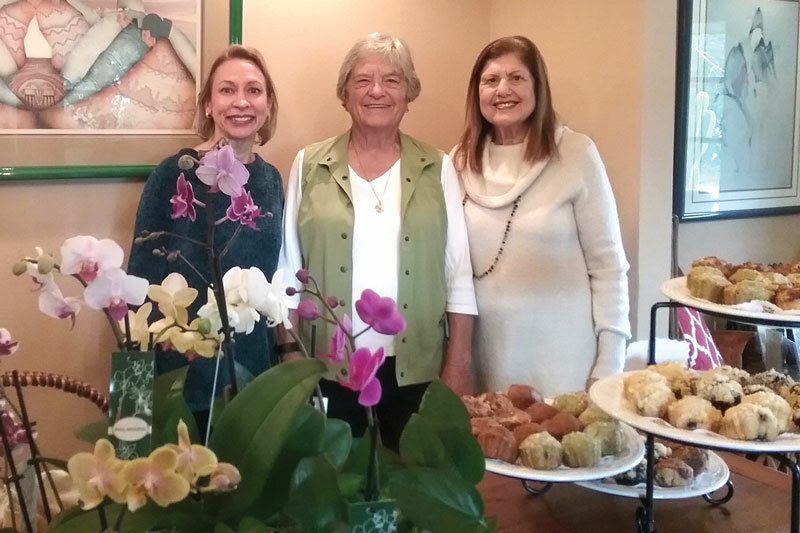 Becky's Gift coordinators thank their friends, family and the Scripps Ranch community for supporting the project for the last nine years. Thanks go out to these major contributors: Scripps Rock Dental, UCSD NICU, UCSD SICU/Sandy Petty, Scripps Ranch South Tennis Team, Transamerican Mailing, Kelly Marshall's Birthday Party, San Diego Family Magazine, Polly Hickle, Rancho Penasquitos Realtor Caravan, St. Gregory the Great Catholic School, Dingeman Elementary School, American Public Works Association, Betty Torano Realtor, Signature Dance Academy, Ariel Achievements, Scripps Ranch/Poway Rotary Club, Barbara Kuzara, Avery Alfonzo, T.Y. Lin International, Scripps Ranch Fieldstone Summit BUNCO Party, Torano Family Thanksgiving Party, Dingman Bunco Babes, Cub Scout Pack 614, Play Station Rancho Bernardo, and All Ivy Cornell Club. Support The Enlisted Project (S.T.E.P. ), based in Scripps Ranch, received a 4-star rating from Charity Navigator for the second consecutive year. Charity Navigator awards the coveted 4-star rating to organizations with a strong commitment to accountability and financial health. S.T.E.P.’s mission is to aid military families through financially conscious metrics and credibility. S.T.E.P. has assisted more than 3,000 military and veteran families through financial counseling and $1.3 million in grants. At the time that it occurred, the 2003 Cedar Fire was the largest wildfire in California’s history. Its acreage has only been exceeded in recent years. Pushed along by Santa Ana winds, the Cedar Fire burned terrain at a phenomenal rate. It covered 29 miles between midnight of Oct. 25 and 10 a.m. on Oct. 26. By approximately 8:30 a.m. on Oct. 26, the fire had made its way from Cleveland National Forest to Scripps Ranch. The extensive damage caused by the fire prompted action on several fronts. Firefighting and disaster response agencies took what they learned from the challenging conditions posed by the Cedar Fire and scaled up resources, adapted policies and advanced their communication systems. The timing of the Cedar Fire posed a unique resource challenge. The fire was first reported to the Monte Vista Emergency Command Center at 5:37 p.m., and for safety reasons helicopters were not authorized to operate at that hour. In acknowledgment of this limitation, San Diego Fire-Rescue now owns three helicopters that have been adapted to drop water at night if circumstances require it. The helicopters have specially trained pilots to fly them. The military can be a tremendous resource during fires and according to the San Diego Fire Department, since the Cedar Fire the approval process for use of military planes and helicopters has been expedited. To ensure effective coordination between city and state firefighters and the military, Cal Fire now trains with Navy and Marine pilots at Camp Pendleton. 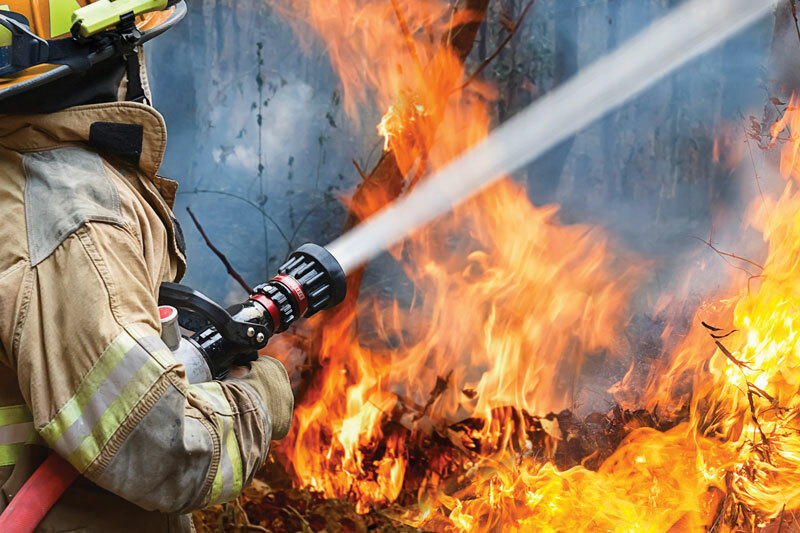 Many other advancements have been made in the areas of emergency response, such as the development of a regional cooperative dispatch system that locates firefighting resources and ambulances based on availability and proximity. In practice, this would mean that for those residents of Scripps Ranch who live closer to the Poway fire station, Poway could easily be called upon to help. There has also been a response within the Scripps Ranch community. Following the Cedar Fire, Scripps Ranch residents Kristin Rayder and Jerry Mitchell decided to form the Scripps Ranch Fire Safe Council (SRFSC). The council’s primary goal is to educate the Scripps Ranch community about fire safety and prevention, however, it has also been involved in innovative evacuation planning. Working with the Department of Homeland Security, the San Diego Fire Department and the San Diego Police Department, the SRFSC has developed maps which have served as a conceptual model for all of San Diego County. They were distributed – and updated maps are coming. 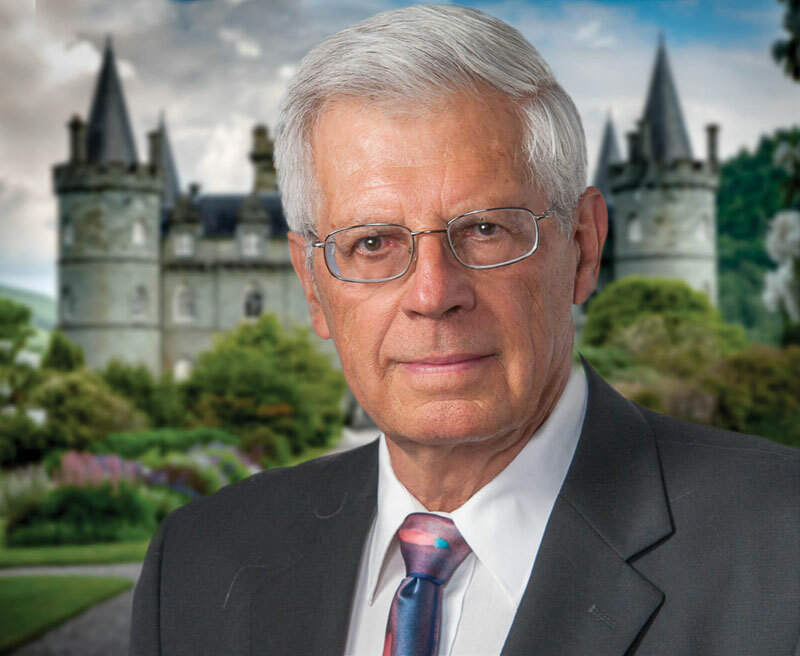 Rayder also spearheaded the development of a safety evacuation system. The system involves tagging houses with different colored flags, with the intention of saving firefighters time and effort. Since the Cedar Fire, there have been a number of advances in fire safety at the state, regional and community level. The responsibility also lies with individuals, though, because the majority of fires are human-caused. Rayder reminds residents to be mindful of suspicious activity and potential arsonists. “If something doesn’t feel right about someone’s behavior, call 911 and report it, because it’s better to be embarrassed or overly cautious,” she said. From full-scale research studies to the experiences of local neighbors, there is much to be learned and shared about fire safety. Dr. Jon Keeley, senior research scientist with U.S. Geological Survey, and Kristin Rayder, president of Scripps Ranch Fire Safe Council (SRFSC), have some facts to share with residents — and some of them are direct from this area’s fire history. Dr. Keeley has been studying fires for more than 40 years. He was on the ground in Scripps Ranch after the Cedar Fire and has been consulted by Cal Fire and the U.S. Senate Committee on Energy and Natural Resources on the most recent wildfires. His current focus is on how climate affects fire regimes (fire regimes are the patterns associated with specific ecosystem over time), and how this varies across California. Keeley has published research on factors that made communities vulnerable, or resilient, during the Cedar Fire and others that occurred around that same time. The thing to note here is that it was not typically the tree itself that burned in this scenario. It was the dead litter that dropped off trees hanging over roofs. They were ignited when embers were blown onto the roofs. One thing Keeley suggested is to use small mesh in vents in the roof because the temperature difference between the outside and inside causes embers to be drawn through attic vents. Another piece of advice Keeley offered is to keep at least 10 to 15 feet of space between shrubs as a general rule. More specific parameters can be evaluated on an area by area basis. Rayder of the SRFSC wanted to emphasize a fact about Spanish tile roofs that she learned from a resident’s experience. Spanish tile roofs are known for being more fire resistant, however, to be effective the ends need to be capped so that the embers can’t get underneath and reach the wood. The California Conservation Corps is assisting the SRFSC with Scripps Ranch’s fire planning. They advised clearing dead grass, sticks and logs from underneath eucalyptus trees because of the “ladder effect” in which fuel on the ground carries fire from the base of the tree upwards. Both Rayder and Keeley emphasized the role that the public plays in prevention, and the importance of awareness and vigilance. When it comes to the local charity organization Build a Miracle, it's all about keeping the legacy of charitable work going across generations. 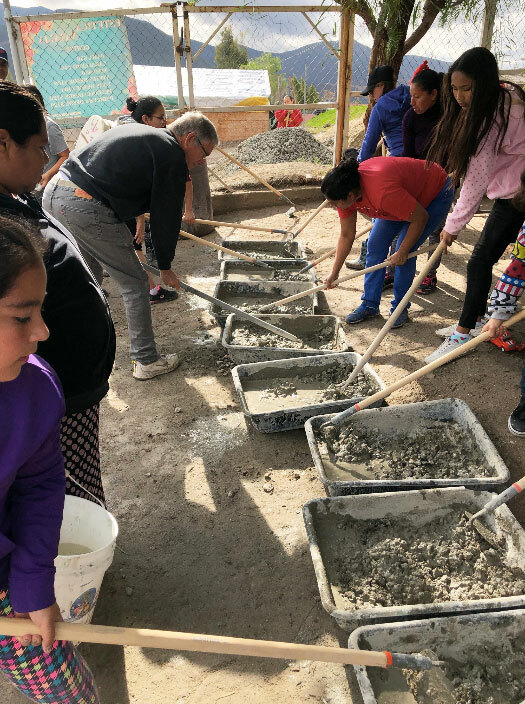 The organization, founded by Scripps Ranch residents Chris and Julianne North, is focused on the mission of building homes for underprivileged families on the other side of the border. “Right now, there is a group of (students) who are almost all young men from Scripps Ranch High School and Cathedral Catholic, and they’ve all joined together, and their goal is to raise $50,000 to put a playground at the community center,” Chris North said. 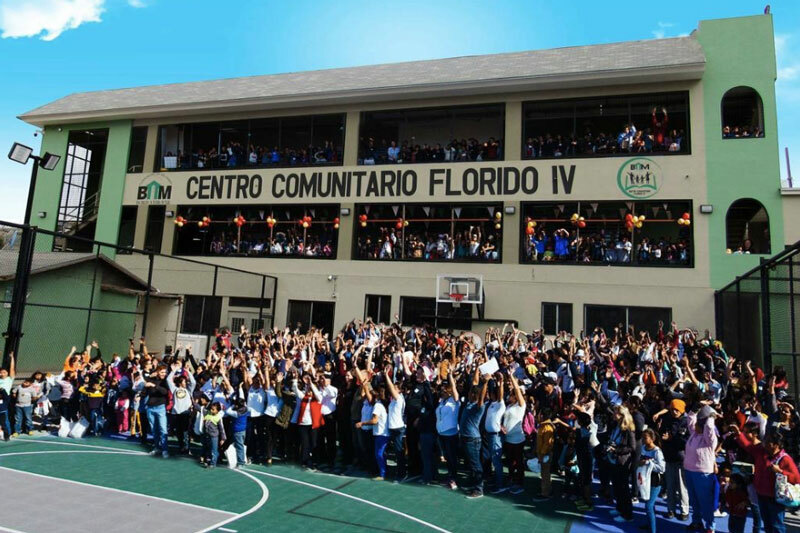 That community center, Centro Comunitario Florida IV, was a project constructed by Build a Miracle in the neighborhood of El Florido in Tijuana, Mexico. For the local Nastrini family, this cause has lived on through the ambitions of the family’s sons. The campaign to construct a playground on the property, organized by Cathedral Catholic student Jake Nastrini, was inspired by a previous effort made by his older brother to fundraise $35,000 to build a soccer field at the community center. With this, North said, it is clear the spirit of doing good work can be inherited. Build a Miracle makes this idea central to their mission in many ways. When Chris and Julianne met during their college years at Loyola Marymount University in Los Angeles, the monthly trips he took to do charity work in Mexico were only lightly organized, Chris said. Now, that same group has become one of the university’s largest student organizations. “The club at Loyola Marymount exists to this day, 35 years later, and they still go down every month but now they come to help us build houses,” Chris said. The lasting approach to Build a Miracle’s mission is something North said makes their organization stand out from other home-building charities. While the organization could simply build a few homes and move on to the next family, North said there is also the concern of providing families with the skills they need to better their situations in the long run. Since the organization started, its has helped produce 18 college graduates from the assisted families, North said. “We build probably fewer homes (than other organizations), but we build homes that last generations and we commit to the families themselves to break the cycle of poverty,” Chris said. 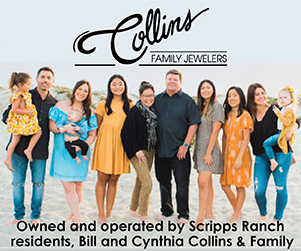 As for ways Scripps Ranch residents can get involved, Chris said the most effective method is gathering one’s friends and family members and making a fundraising goal. “Whether it’s between one person, an entire class at Scripps Ranch High or whoever, (the goal is to) raise enough money to either furnish or build a whole home,” he said. Visit buildamiracle.net to learn more. 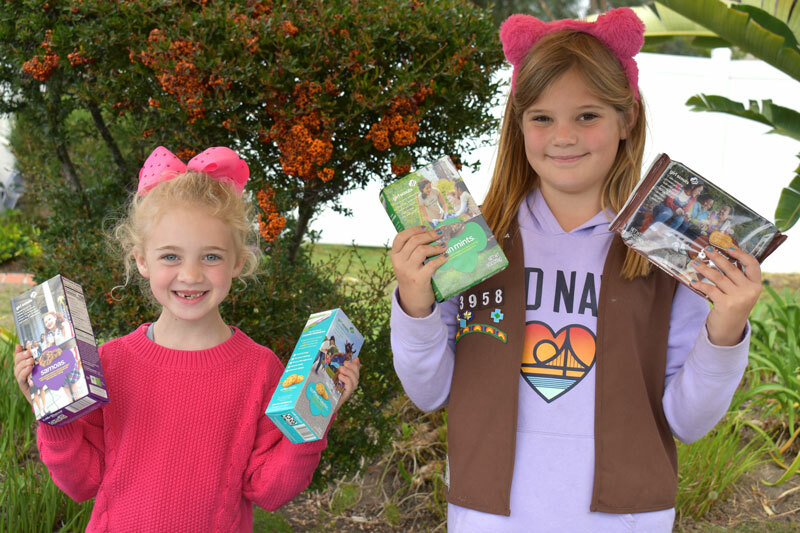 The 2019 Girl Scouts cookie sales season began Sunday, Jan. 27. 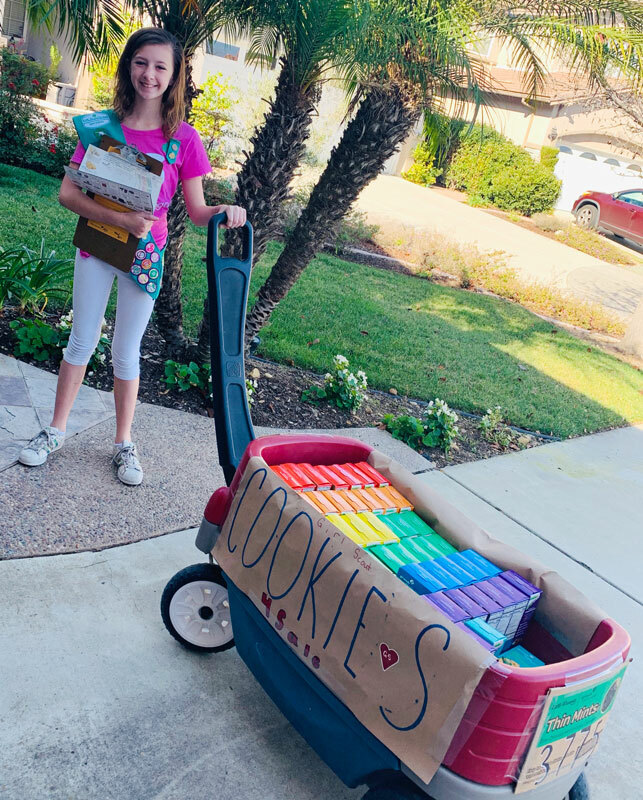 Girl Scouts in Scripps Ranch began the season by going door-to-door in their neighborhoods, contacting family friends and relatives, and even setting up tables in their front yards to conduct sales of the tasty treats. Sales for this popular fundraiser for Girl Scouts will continue through Sunday, March 10. Soon, shoppers will see local Girl Scout troops taking turns selling cookies at the local Vons supermarkets. 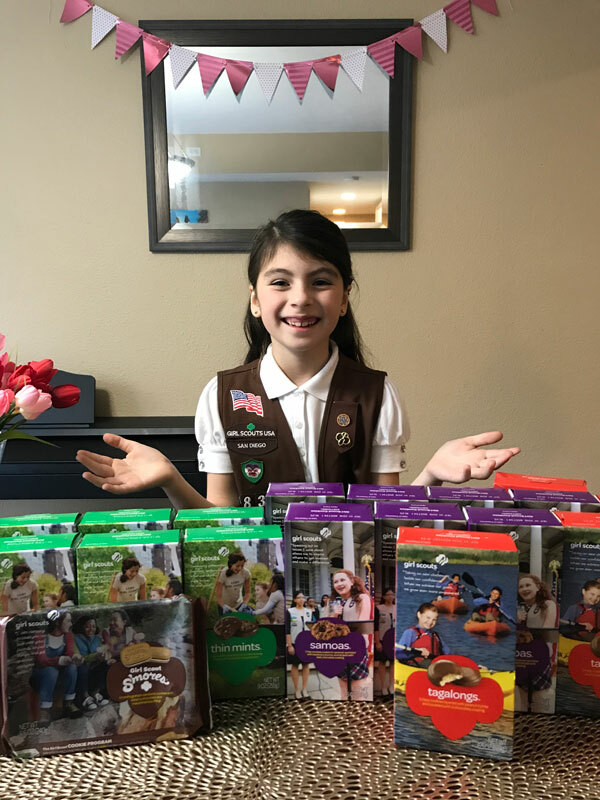 This year’s selection includes Thin Mints, Samoas, Tagalongs, Trefoils, Do-si-dos and Savannah Smiles; each box for $5. Specialty cookies at $6 per box are Toffee-tastics and Girl Scout S’mores. 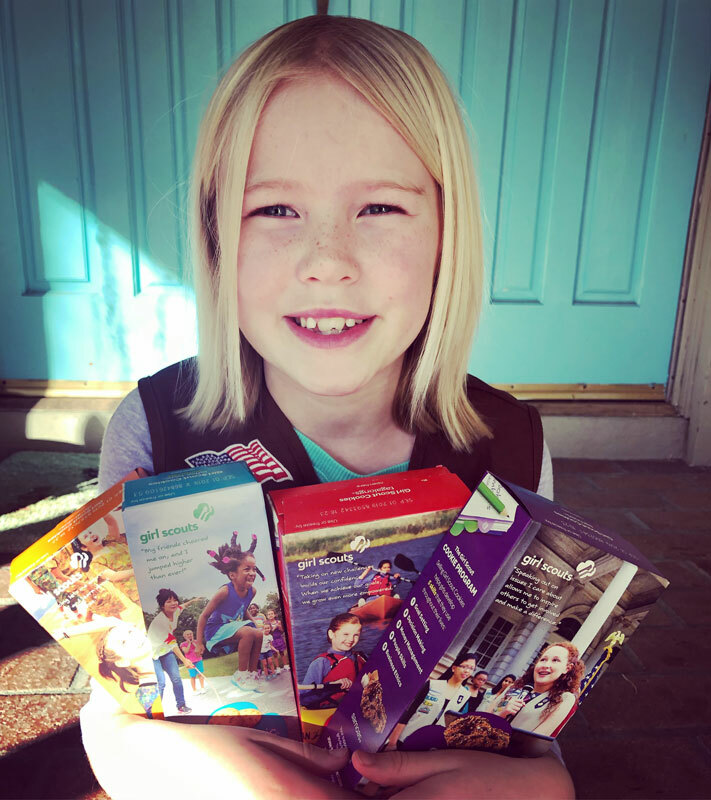 Attention parents and Girl Scout leaders: Send photos of your Girls Scouts ready sell cookies and Scripps Ranch News will publish them in the February issue of Scripps Ranch News and post them on ScrippsRanchNews.com. Send the names of the Scouts from left to right if possible, troop number and name of photographer. 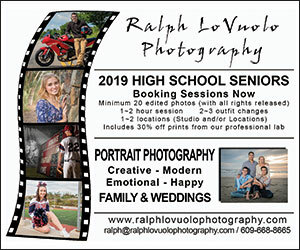 Email photos to info@scrippsranchnews.com. Deadline is Friday, Feb. 8. A Scripps Ranch High School alumna is reaching for the stars, quite literally, as she and her team attempt to become the first student-run organization to launch a rocket into outer space without any assistance from an outside organization. University of Southern California junior Lauren Potterat is part of the Rocket Propulsion Laboratory at the university which, according to its website, is an undergraduate research laboratory that designs, builds and tests experimental rocketry and propulsion hardware. Potterat works in the avionics team division as the embedding software lead, with eight other coders under her direction. Her main job is to inspect the hardware’s coding, which enables the team to know where a rocket is and what it’s doing during the flight. “We want to design and kind of show that we are capable of sending an advance rocket to space,” Potterat said. Though Potterat has a deep passion for space and technology, she admitted it wasn’t something she pictured herself doing while in high school. However, she went on to enroll at USC as a computer science major, switching midway through her sophomore year to astrophysics. Potterat said she was surprised to discover the type of advance work that was being conducted in the lab, stating that she discovered the group through some of her peers within the major. The lab currently holds the world record for student undergraduate altitude with the launch of the Fathom II Rocket on March 2017, but the team’s ultimate goal is to be the first collegiate lab to successfully launch a student-made rocket into space. Potterat is hoping that the passion for space she’s seeing at the collegiate level trickles down and sparks a renewed interest in space among high school students and younger students so future generations continue to pursue space exploration. “I’m a believer in the fact that space is the final frontier,” Potterat said. The lab is currently gearing up for its next launch which will happen during the spring semester. The public can follow this project online through updates on the Rocket Propulsion Laboratory’s website: uscrpl.com. “At the end of the day, it’s just a bunch of kids having a good time and doing some actual engineering,” Potterat said.